This 11-day trip provides a great mix of cultural immersion, volunteer work, and adventure! A core piece of the experience is a homestay with a local indigenous family, where you will participate in the daily work of the community – helping them to build, farm, and complete other important tasks that are vital to their day-to-day lives. You will be immersed in Andean history and culture in Cusco and the Sacred Valley, and the trip culminates with an epic trek along the Salkantay Trail to Machu Picchu! Arrive in Cusco, Peru. You will be met at the airport and will have a private-guided transfer to your hotel. 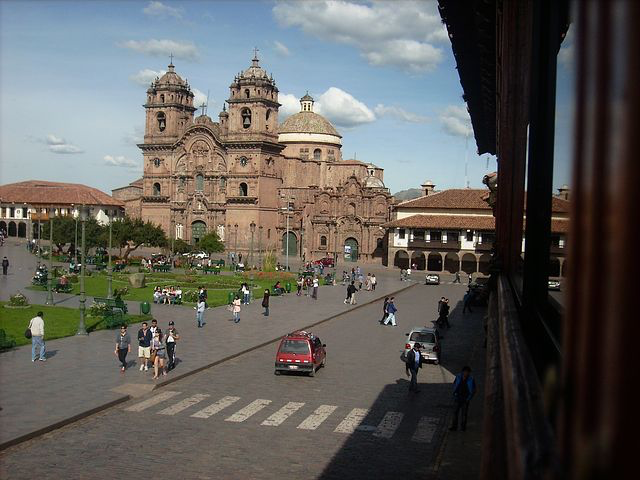 In the afternoon, you will have a private-guided tour of Cusco. Begin with a visit to the Coricancha also known as the “Temple of the Sun” (or “Premises of the Gilded One”), the construction of which was ordered by Inca Pachacútec (1438-1471) and which was used as a base for the construction of the Santo Domingo Convent upon the arrival of the Spaniards. This is when the Sun (Inti, in Quechua) was worshiped during the Inca Empire and at the time of the Incas its walls were fully covered with gold sheets and its courtyards were planted with golden corn and life-size llamas. You will then head to the Cathedral, the most important building on the Main Square and one of the most splendid Spanish colonial churches in America, which is shaped as a Latin Cross and houses about 400 colonial paintings from the Cusco art school, and impressive goldsmith, silversmith and precious stone works. Its construction lasted almost a century; it started in 1560 and ended in 1654. The Ecclesiastical Chapter was ordered to extract and transport hundreds of stones from the Sacsayhuamán fortress for this purpose. You will then visit the fortress itself, an emblematic work of the Incas, which protected the Holy City. Conceived and built by Inca Pachacútec in the 15th century, The Sacsayhuamán complex was built with megalithic blocks, the transportation and erection of which continue to be a mystery. Your tour continues with an exploration of San Blas neighbourhood. This area was originally inhabited by the Inca nobility who built impressive stone constructions; unmistakable Inca walls can be seen at the base of many buildings. Today the neighbourhood is a delightful cluster of cobblestone streets, popular among artisans who sell their handicrafts on the street. Following the tour, you will return to your hotel in Cuzco. Freshen up, and then transfer to your ‘welcome dinner’! After breakfast, you will depart Cusco and head to the nearby Sacred Valley of the Incas. 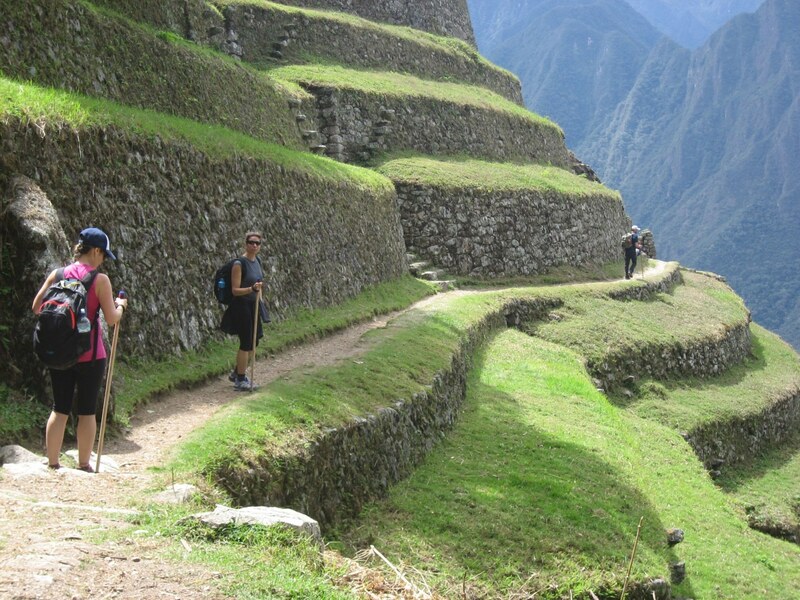 Today you will explore two of the more impressive archeological complexes in the area – Pisac and Ollantaytambo. Pisac boasts the largest network of terraces and is considered a masterpiece of agriculture of the Incan Empire. Your guide will orient you to the site, and you will have plenty of time to explore. You will then head to Ollantayambo, which is a great example of typical Incan urban planning, and is still inhabited today. Here, you will find a great archeological complex known as the “Fortress”, which is a bit of a misnomer because the town actually operate as a centre for rest and lodging for long distance travelers during the time of the Empire. It is without doubt one of the most monumental works of that era. Following visits to both sites, you will enjoy lunch in Urubamba before heading to your hotel to check-in and relax for the rest of the afternoon. Dinner will be hosted at the hotel in the evening. Today you will continue to explore the Sacred Valley. You will start your tour in the village of Chinchero, which was one of the most important populations during the Inca Empire. However, it fell victim to the “extirpation of idolatries” action that replaced the traditional deities with Catholic ones in order to transform popular beliefs. In this way, important monuments and buildings completely disappeared. Today, every Sunday, the town becomes a marketplace for the surrounding communities. 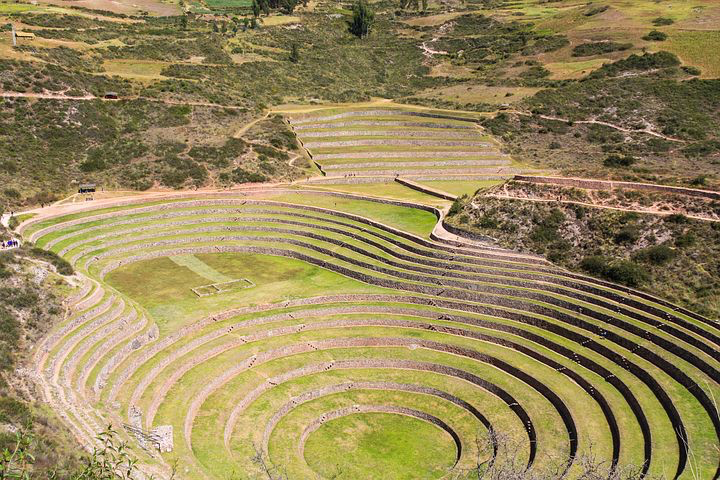 Later, you will visit the archaeological sites of Moray and Maras. Moray archaeological remains consist of mysterious concentric circular terraces that for some investigators would be an agricultural research centre. External platforms, more elevated, would be exposed to higher temperatures than the internal, and could simulate the conditions of different ecological floors in the empire. On the other hand, Maras is a surreal sight. It is close to Moray and is an impressive complex of salt exploitation. They are large salt deposits that were used to exchange for other products with other regions of the empire. You will enjoy a box lunch on route, and dinner at your hotel. 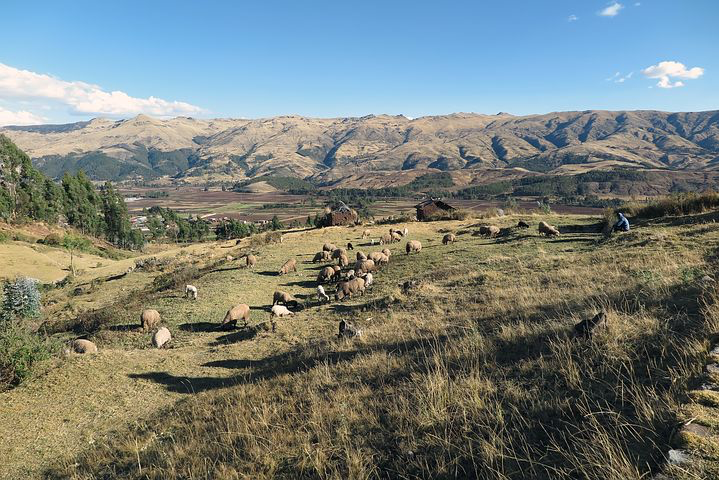 After breakfast you will be transferred to the Willoq Community – a community co-op near Cusco which seeks to involve international visitors with local inhabitants in an effort to help build and maintain resources for this economically challenged settlement. 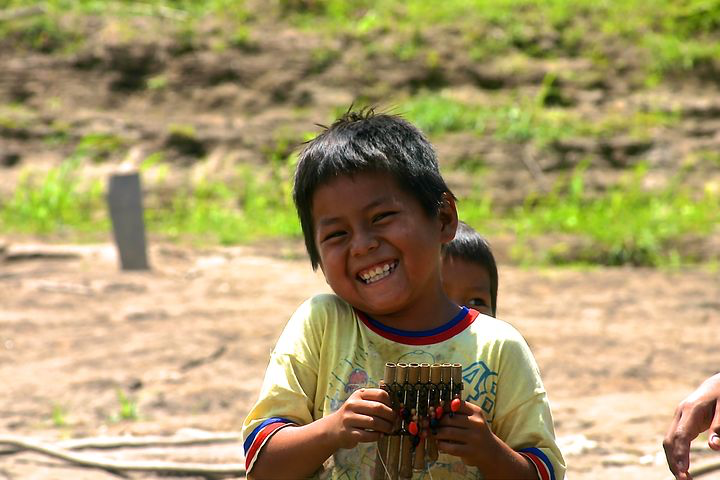 The Willoq people in many ways still follow ancient Incan customs and traditions in their day-to-day lives. 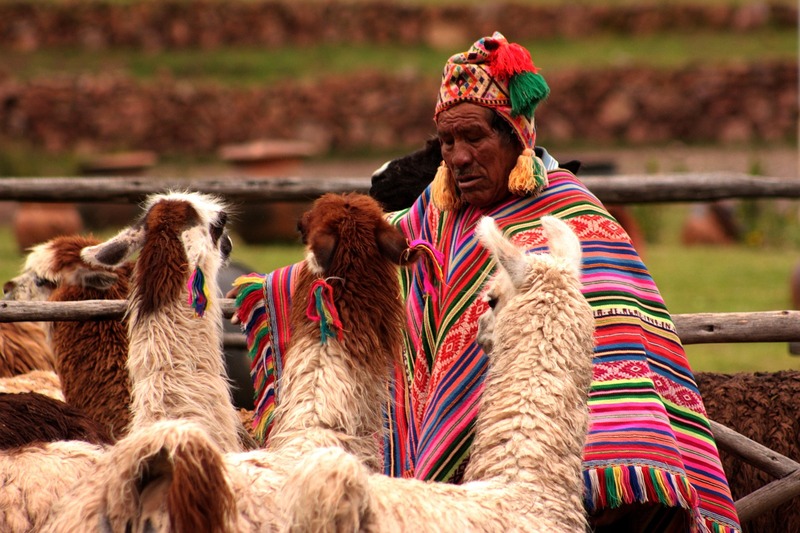 Visitors to the community have an opportunity to both lend an important helping hand, as well as to learn about the history and the culture of the Inca people. Visitors are assigned to local families and stay with them for the duration of their visit. Women: Preparation and tasting of food such as chicha, papa seca, chuño (depending on the season of the year) and other items of nouvelle Andean cooking. Men: Agricultural work such as preparing the land using the chaquitaclla or plough, sowing, harvesting, post-harvest treatment and others. During rest periods, you will have an opportunity to share stories with your hosts. You will likely learn about their costumes, and how ancestors influence on textile designs can be seen on daily and festive attires. You may also share stories from your own countries with members of the family. Your accommodation with the host family will be in a traditional family home in the community. You will have a comfortable, basic room, and the host family is paid to accommodate you which represents meaningful income for them. Today you will participate in a larger community project. The specific role will vary based on what is going on in the community at the time of your visit, but you will be a part of what is known as the Ayni system, a system of reciprocal labor among members of the community who share agricultural tasks and house building. This system consists of assisting with work carried out by members of a family, under the condition that they will reciprocate when necessary. This practice encourages generosity, reciprocity, and solidarity among visitors and members of the community. Possible projects include: Painting the local school (exterior, classrooms, furniture); repairing furniture at the local school or medical post; building “Wasicuyes” for rearing guinea pigs (a staple of the diet in this region); cleaning the banks of the river or the neighbourhood. In the late afternoon you will transfer back to the Sacred Valley to relax at your hotel prior to embarking on the Salkantay Trek the following day! The Salkantay Trek is spectacular. 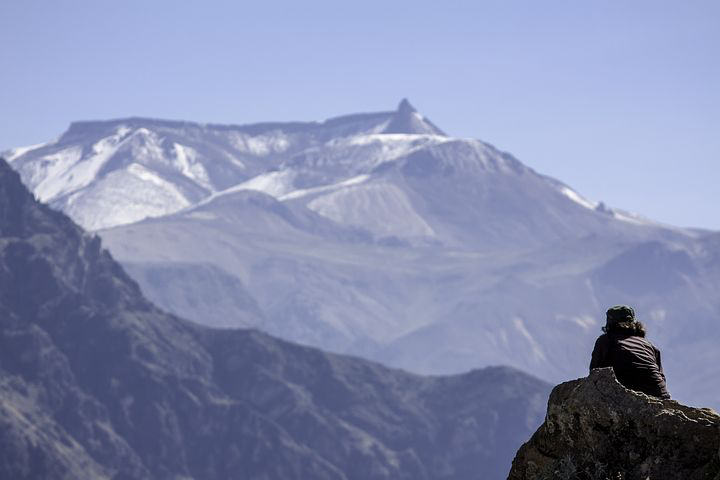 It is rated as one of the top 25 treks in the world by National Geographic Magazine, and rightly so! That said, it is a very serious trek. You will hike 12-18 kilometers per day. You will reach a maximum altitude of over 15,000 feet. The trek is completed successfully by people of all ages and (within reason) fitness levels. However, you should recognize that for most people this will be a very rigorous experience. In the end, this trek will likely be one of the most memorable and rewarding experiences you will have – so the effort is well worth it! We leave the Sacred Valley in the morning with a private driver, and start a scenic morning ride to our trek starting point at Soraypampa. 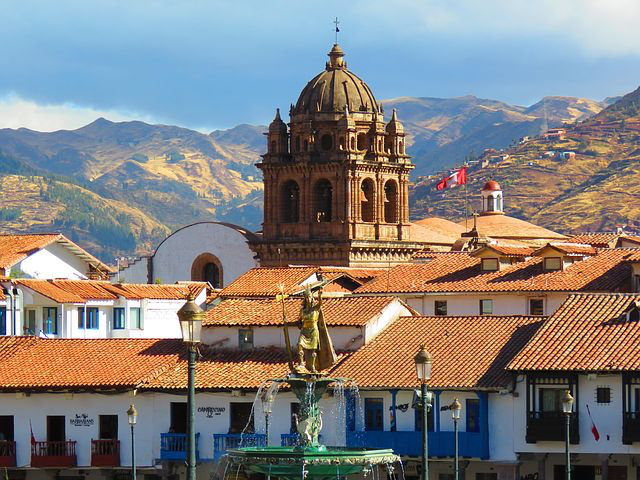 Along the four-hour drive, we drive through the town of Limatambo, an important point of access to the city of Cusco during the time of the Inca Empire, where the archaeological remains of Tarawasi are located. The road continues up a beaten track along the right shore of the Apurimac River and crosses the town of Mollepata and the small community of Cruzpata to finally reach Soraypampa, the starting point of the trek, where we meet our wranglers and horses. After a short introduction and a quick breakfast, we start our hike towards the base of Mt. Salkantay, crossing Salkantaypampa, and then starting a 2 hrs steep ascent to Soyroccocha, just next to the impressive glacier of Salkantay. Continuing uphill, we reach the Abra Huayracmachay, the highest mountain pass in the program where, besides enjoying stunning views of the surrounding glaciers and the snow-capped peaks of the Vilcabamba Range with the south face of Salkantay towering above us, we may also observe chinchillas and condors in their natural habitat. From this point, we start descending towards a more tropical climate and into the so-called cloud forest. Along the route, we can see the remains of an ancient Inca path, which is approximately 6 meters wide. A long though easy descent brings us to our first campsite at Andenes by the late afternoon . Today we continue our hike with an easy downhill walk along the Salkantay River, enjoying the increasingly lush vegetation, passing waterfalls, passion fruit and coffee plantations. The arid highland landscape begins to transform into a cloud forest filled with trees and bromeliads. After 1.5-2 hours we arrive at the settlement of Chaullay, and after another 45 minutes to the town of Collpapampa. From Collpapampa, the Salkantay River becomes the Santa Teresa River. After a rest, we continue our descent to the banks of the Totora River, then passing the waterfalls at Coripacchi, the settlement at Wiñaypoko, the bustling small town of La Playa and finally our second camp at Lucmabamba. On the way we can see plantations of banana, coffee, and avocado, as well as exuberant local flora. We enter spectacled-bear territory and we will probably be accompanied by flocks of parrots as we descend. At dinner we can enjoy a glass of wine by the light of the camp-fire. 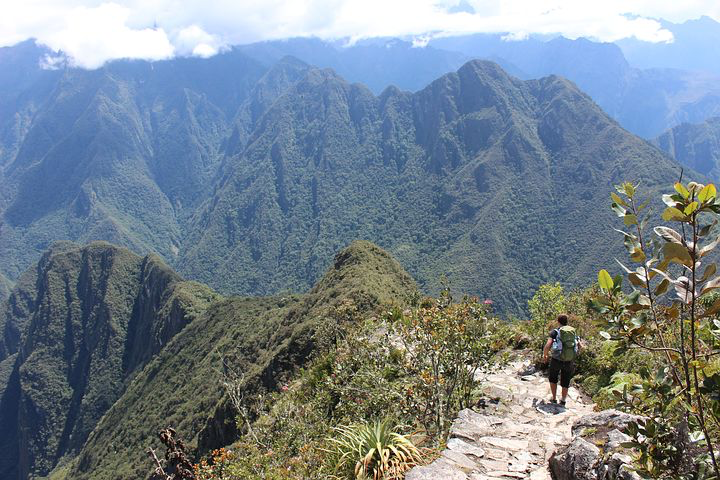 After breakfast, we start climbing for 2-3 hours up to El Mirador or Abra Q’elloqasa from where we have an exceptional view of the Lost City of the Incas, the legendary Machu Picchu, from a different angle. We enjoy a last lunch in nature at the lookout point of Llaqtapata from where we can view both Machu Picchu and the Salkantay Mountain and take a good rest, enjoying the added value of the Llactapata Ruins, which have recently been restored. A 2-hour descent towards the Aobamba River crossing lush bamboo forests and more orchards and coffee plantations brings us to the hydroelectric plant of Machu Picchu from where we board a train that takes us to Aguas Calientes (short, scenic 40-minute train ride). 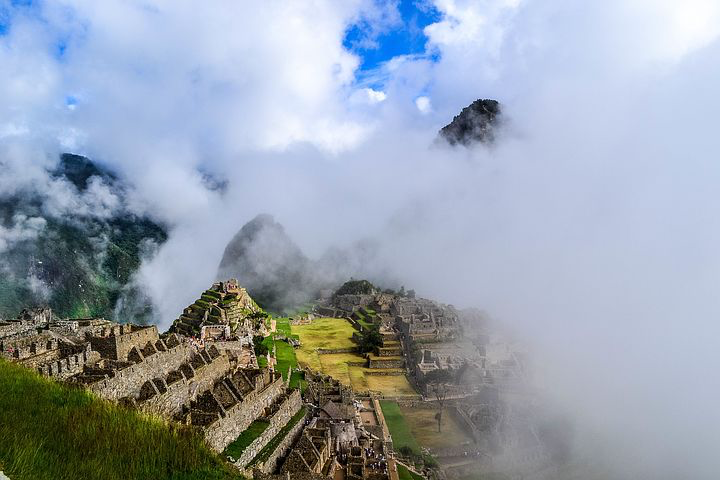 We wake up early and board a bus to Machu Picchu where we begin a complete guided tour of the Inca citadel that will take approximately two hours. You will then have free time to walk around, climb up the Huaynapicchu Mountain, where one can experience spectacular views of all of Machu Picchu, the valleys and mountains that surround it (please note that there are only 400 visitors allowed per day – permits must be arranged / purchased in advance for an additional fee if you wish to hike Huaynapicchu), or visit the Temple of the Moon or the impressive Inca Bridge. In early afternoon, we meet in the town of Aguas Calientes and enjoy lunch at Cafe Inkaterra. From here we take the train back to the city of Cusco, where we arrive after nightfall. Late in the afternoon, you will be picked up and transferred to your ‘farewell’ dinner. Depart Peru. 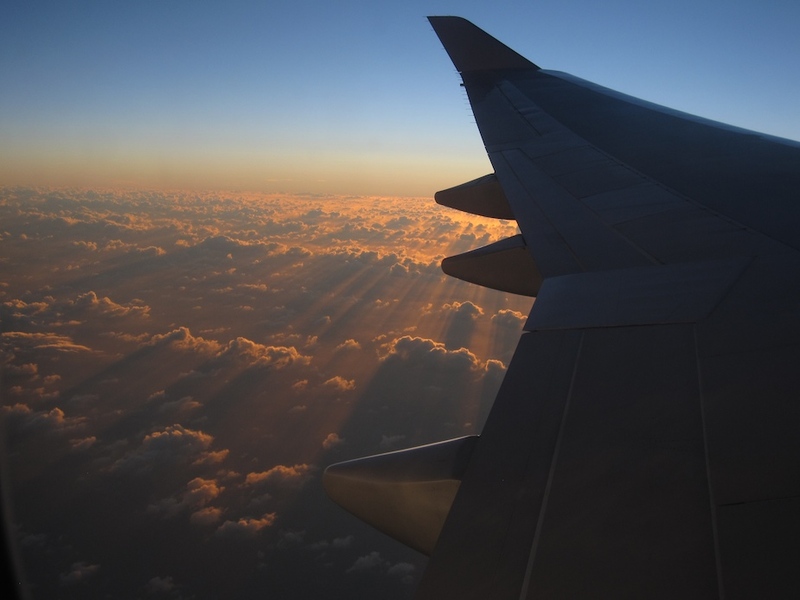 Today, we have arranged for a private transfer from the hotel to the airport to connect to your flight home. Hotel Plaza de Armas is located close to the city centre. This hotel offers guests a personalized service. The minimalist decor gives guests comfort in their stay. San Agustin Monestario de la Recoleta is a historical religious monument. This hotel is located in the Sacred Valley close to the most important ruins such as Ollyantaytambo, Pisac, Maras Moray and Machu Picchu. Guests can enjoy the many services they offer. While in the Willoq Community, your accommodation will be with a local family and you will stay in their traditional family home. Stay at the Andenes and Lumbamba campsites during your 3-day Salkantay Trek. Enjoy the beautiful scenic area around you. El Mapi Hotel Machu Picchu is a beautiful laid back hotel experience. This hotel is located in the village of Machu Picchu and offers many services and facilities guests can enjoy.